To serve in an advisory capacity to the State Parks Board; providing scientific and natural resource management expertise in efforts to protect, conserve and maintain natural features, biological communities, ecological function, and other aquatic and terrestrial resources. Natural Areas are areas of land which have scientific, educational and aesthetic value by reason of distinctive natural features. In Arizona, Natural Areas have as their primary purpose the protection and or preservation and study of the site’s natural resources. 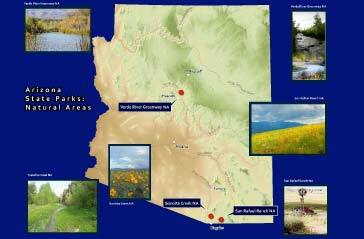 Arizona State Parks and Trails has 3 Natural Areas and a conservation easement (San Rafael CE). 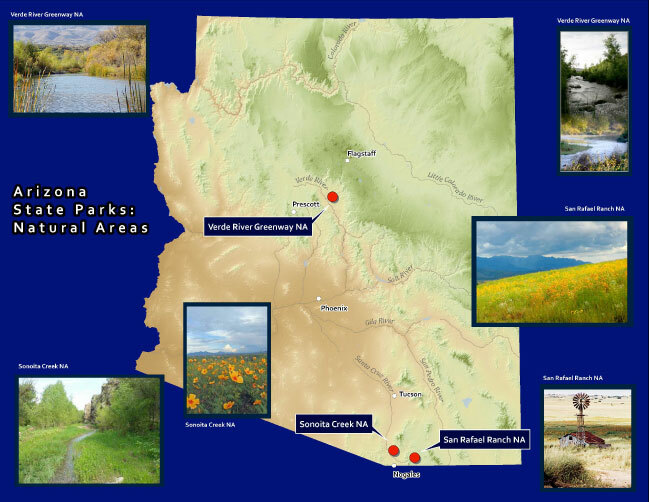 The three natural areas are Sonoita Creek State Natural Area, the Verde River Greenway State Natural Area, and the San Rafael State Natural Area. 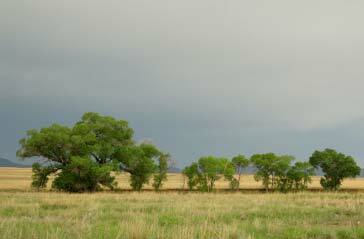 What Is The Natural Areas Program Advisory Committee? 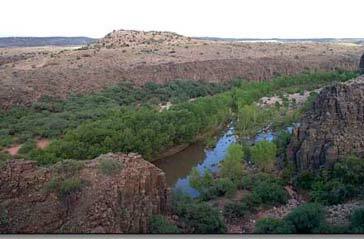 The Natural Areas Program Advisory Committee (NAPAC) was created in 1999 by the Arizona State Parks Board. The group was to advise the Board on its Natural Areas acquisition program which was funded by the Heritage Fund monies generated by the Arizona Lottery. The Board charged NAPAC with advising it in areas requiring scientific expertise under the Arizona Heritage Fund statutes. Over the years, NAPAC’s role has evolved to include the development of recommendations and input on Natural Area land management planning, stewardship, and other natural resource conservation efforts within the State Parks system. NAPAC is composed of seven voting members and one non-voting ex-officio member. Voting members represent scientific expertise in the fields of botany, ecology, geology, hydrology, zoology, wildlife biology, preserve management or be actively involved in the conservation, scientific or preservation fields. In achieving its Mission, NAPAC assists the State Parks by providing recommendations, review, and input on Natural Areas management plans, as well as natural resource assessment throughout the State Parks system. NAPAC facilitates opportunities to partner with local landowners, conservation organizations, and other state and federal agencies. NAPAC also evaluates suitability of properties for potential incorporation as a State Natural Area as part of the State Parks system. NAPAC’s Mission and activities tier to the State Park Board’s Mission and Goals, through sustainable management, planning, research, and development of programs, partnerships, and conservation opportunities. Rebecca is employed by Salt River Project (SRP), as a Senior Water Rights Analyst in the Water Rights and Contracts Department. Rebecca currently works on issues associated with water policy and management, and assisting on the development of partnerships and other projects that protect water resources for SRP shareholders while also promoting stream conservation activities. Prior to SRP, Rebecca worked for 11 years with the Arizona Game and Fish Department, and has experience in federal land planning, natural resource management and environmental regulations (water rights, policy and management, natural resource management, land use planning), and endangered species biology and monitoring. Rebecca has a B.S. in Environmental Science from Northern Arizona University. Tom worked for the U.S. Forest Service for 30 years in Arizona and New Mexico; 20 of which were as a wildlife biologist, preceded by 10 years in the fields of range and watershed. 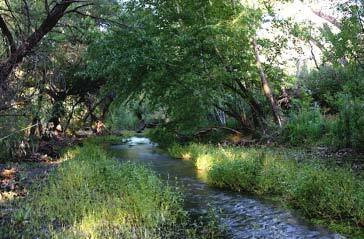 Tom retired in 2009 as Wildlife, Fish and Rare Plant Staff Officer for the Coronado National Forest. Other natural resource experience included work with the Bureau of Land Management in Nevada, and U. S. Peace Corps in Thailand. In addition to NAPAC, Tom is currently involved in volunteer efforts to remove invasive species, and working with children in natural resource programs and education. Education: B.A. in Biology, Carleton College, Northfield, Minnesota, and an M.S. in Range/Wildlife, University of Arizona. Santiago holds a Bachelor of Science in Natural Resources Management and a Masters of Science in Biology. He currently works for Grand Canyon National Park and has 14 years experience designing and developing large and complex applications and projects. Projects he has been responsible for include: web mapping applications that resulted in extensive GIS data; integrating GIS data with legacy systems, adding value to existing data; designing and administering enterprise GIS databases; and application of data standards to enhance data usability and quality. For over 15 years, Santiago has provided excellent customer service in diverse disciplines including natural resource management, transportation and municipal asset management. David is employed by the Arizona Game and Fish Department (AGFD). David spent ten years conducting native fish monitoring and survey activities throughout Arizona including the San Rafael Valley and the Verde River. David was on the crew that discovered Gila topminnow in Cole Mine Canyon near the Sonoita Creek State Natural Area in 1994 and drafted the original revised Gila topminnow recovery plan in 1999. David also worked as a sport fish biologist in central Arizona managing fisheries in the in the seven big lakes and in the rivers of the Salt, Verde and Agua Fria watersheds. David is currently serving as the Aquatic Habitat Program Supervisor for AGFD and has experience with NEPA and ESA related consultations for the Department. Recreationally, David enjoys canoeing, rafting, fishing and hunting throughout Arizona. Linda worked for 25 years at the Arizona Department of Water Resources in a variety of water resource planning positions including as Director and Planning Supervisor for the Tucson Active Management Area. She also worked in statewide planning, focusing on regional water needs and issues, and provided technical and planning support to watershed partnerships in southern Arizona. She was the principal author and co-manager of the Arizona Water Atlas, a compilation of water resource information for the entire state. In 2011, Linda joined Western Resource Advocates, a non-profit legal and policy organization. As the Arizona Senior Water Policy Advisor, she works with local and regional water providers, governments, and policymakers to advance water planning, conservation, and efficiency programs beginning in the San Pedro and Verde river valleys to create solutions to meet human water needs while minimizing impacts to these rivers. Linda holds a B.S. in Biology/Environmental Science from Northern Arizona University and a M.S. in Soil and Water Science from the University of Arizona. She is a member of the Arizona Hydrological Society and serves on the board of directors of the Tucson Audubon Society and the Cochise Water Project, an organization that supports water conservation projects in the Sierra Vista area. Bob has worked as a biological consultant in the southwestern United States for the last 10 years and has experience conducting habitat evaluations, threatened and endangered species surveys, impact assessments and wildlife studies. His specialties include cave and karst resources and invertebrate and desert ecology. He has been actively involved in cave resource documentation, research and preservation since 1970, and has collaborated with the National Park Service, U. S. Forest Service, Bureau of Land Management and Arizona State Parks on cave and karst resource management issues. He is currently a Senior Scientist with the Arizona State Parks Research Inventory and Monitoring (RIM) Program where he has recently completed a re-inventory of the macro-invertebrates of Kartchner Caverns State Park. He is an Associate in the Entomology Department of the University of Arizona. Education: BA in Biology, North Central College, Naperville, Illinois. Larry has multi-agency experience in various regions of the country, including in Arizona. His background is in soil science, watershed and landscape management, and ecological frameworks and processes. Larry has extensive experience in environmental analysis and land use planning. As a result of participation on interdisciplinary teams and committees and frequent interaction with various natural resources specialists and managers in the field, Larry has acquired substantial konwledge of many aspects of silviculture, range science, wildlife and fisheries management, riparian management, fire planning, transportation planning, scenery and minerals management, and reclamation. Robert started working for AZ State Parks in 2006 at Kartchner Caverns State Park, with expertise in geology. NAPAC Membership: Seven members appointed by the Parks Board, plus one ex-officio member from the operations section of Arizona State Parks. NAPAC members are natural resource professionals with backgrounds in sciences and resource management arenas such as geology, hydrology, biology, ecology and botany and resource planning. No more than three members may represent each county.